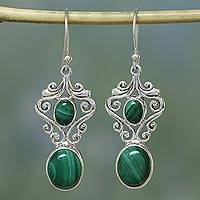 Sterling Silver and Deep Green Malachite Earrings, "Morning Forest"
Evoking a forest in shadows, Shanker selects mesmerizing green gemstones for these exquisite earrings. 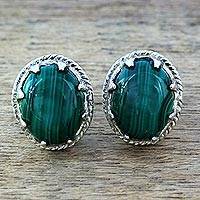 Sterling silver embraces natural malachite in the beautiful studs. 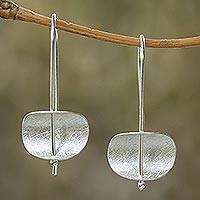 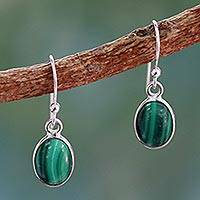 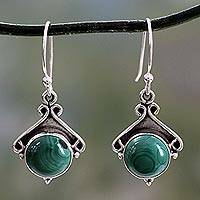 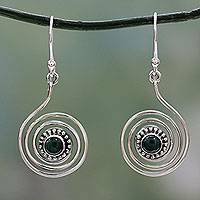 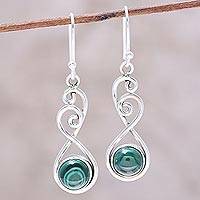 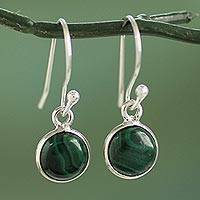 Round Malachite in Sterling Silver Swirls Dangle Earrings, "Meadow Dance"